Music is everywhere—it is all pervasive. Never before has so much music been so accessible. Yet how well do we listen to music? How often do we take the time to really hear it from the inside out? 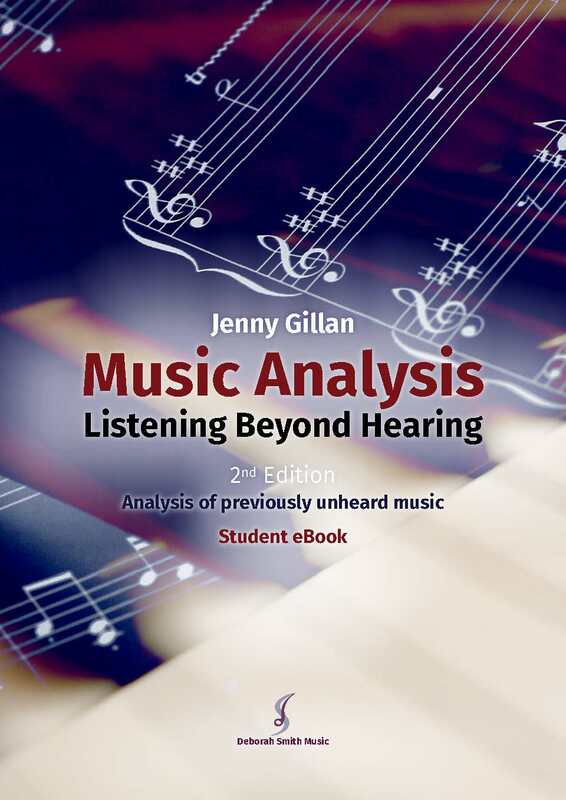 The 2nd Edition of Music Analysis: Listening Beyond Hearing eBook has just been released and is available for purchase from: http://dsmusic.com.au/product/music-analysis-ebook-students-book/. This book will help you develop an understanding of the building blocks of music—why music sounds the way it does. You will also extend your vocabulary to articulate what you hear. This book will help you develop your listening skills and appreciate music even more. This resource was written by Jenny Gillan and published by Deborah Smith Music.